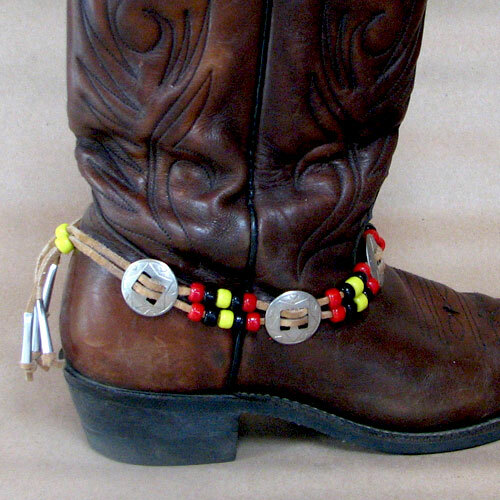 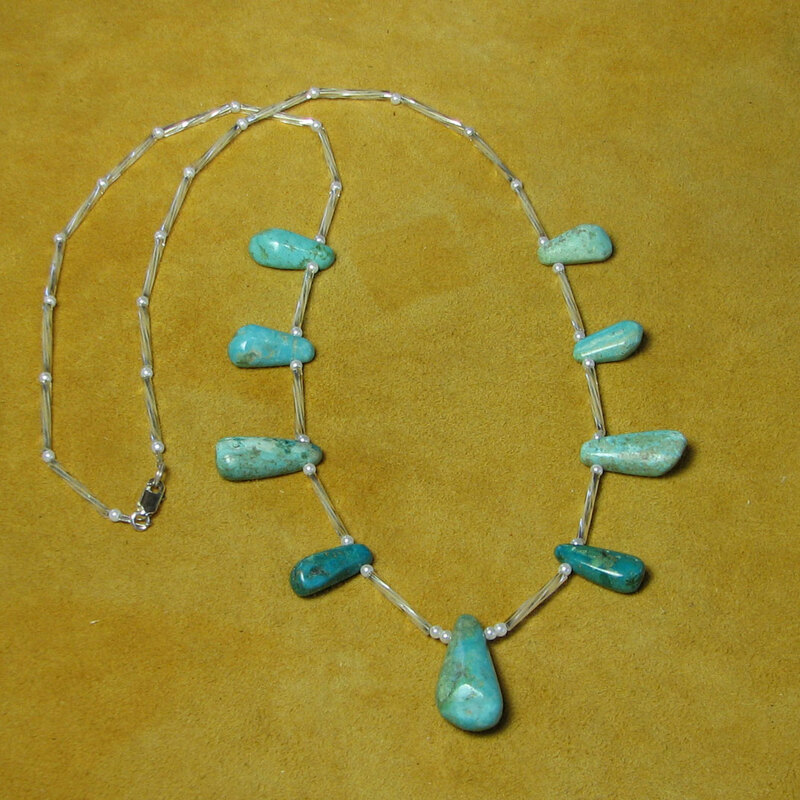 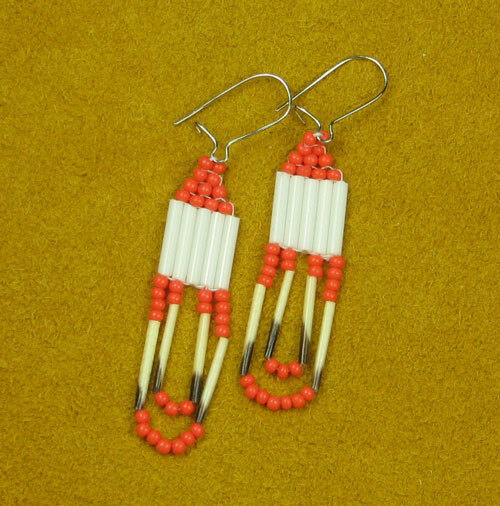 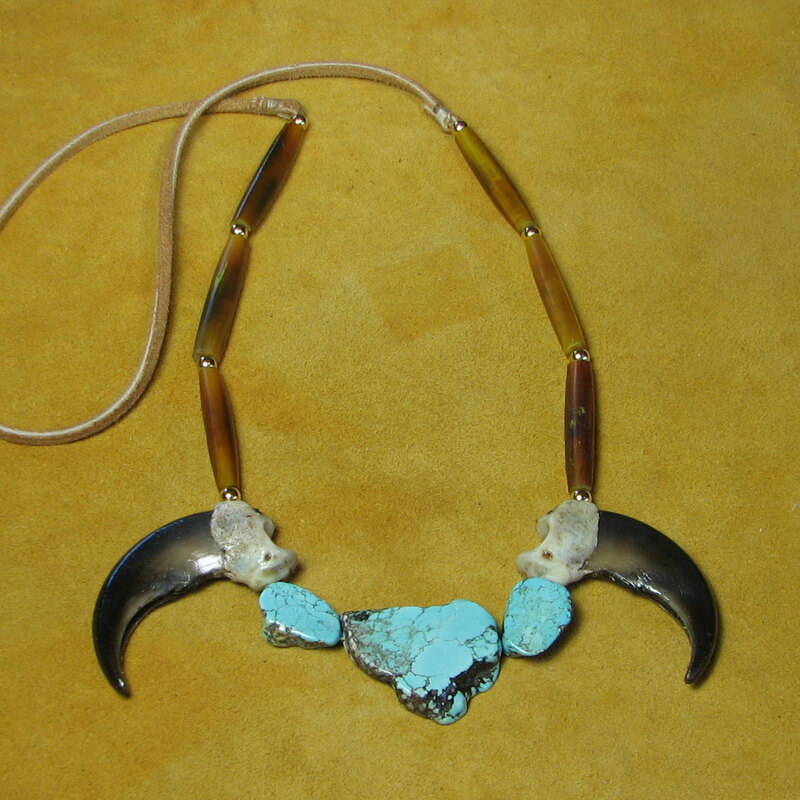 My Native American Indian Jewelry and Crafts are uniquely handmade with authentic natural materials. 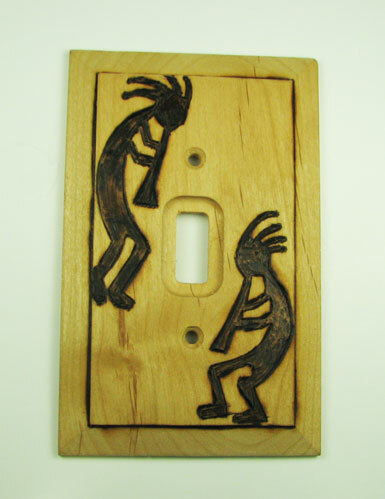 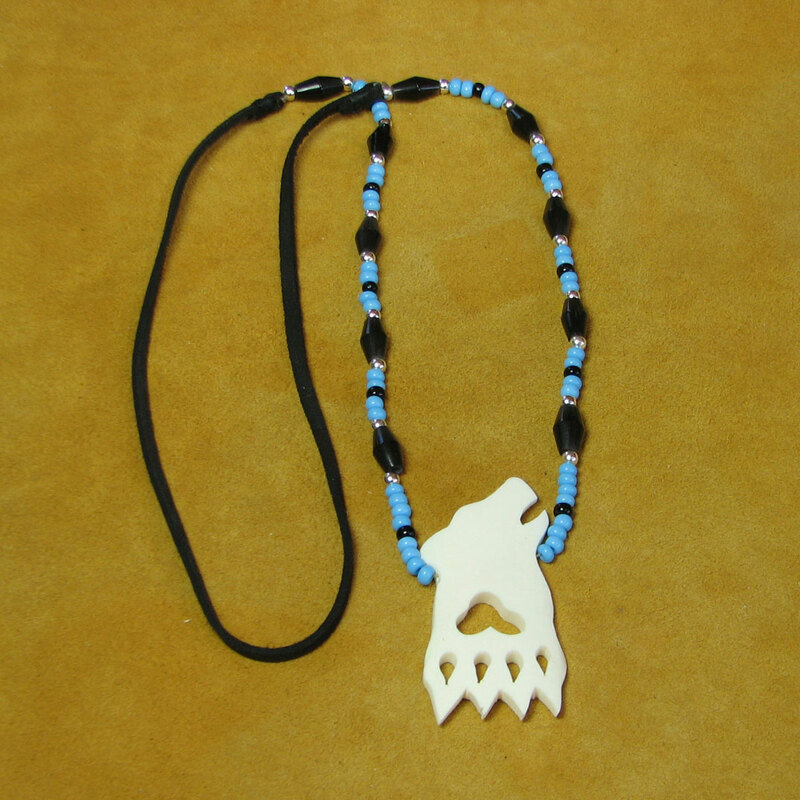 Most items are custom made to order and are subject to availability of materials. 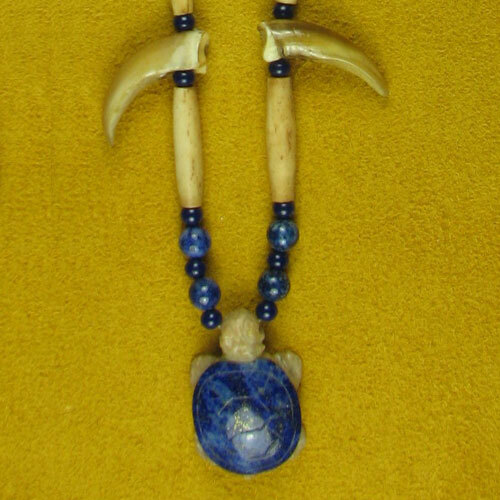 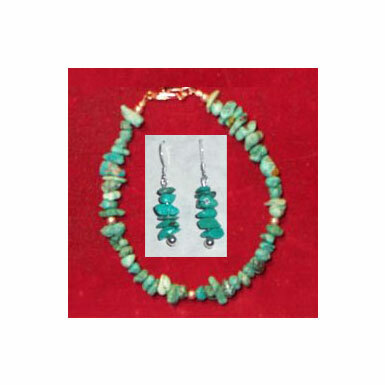 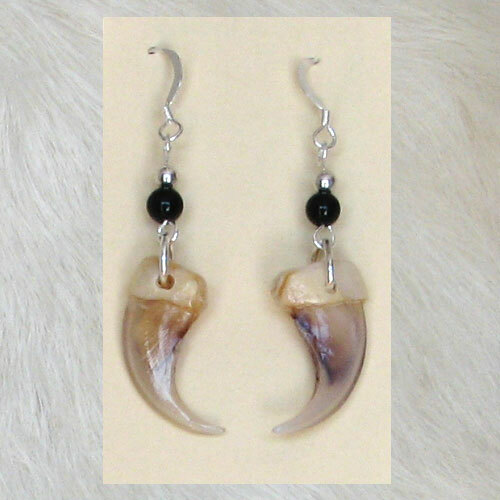 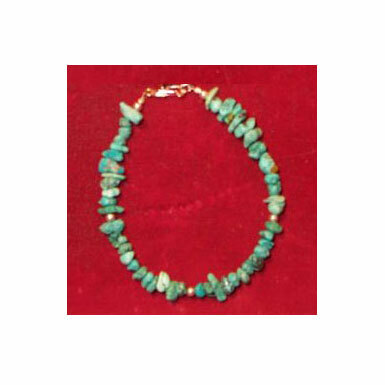 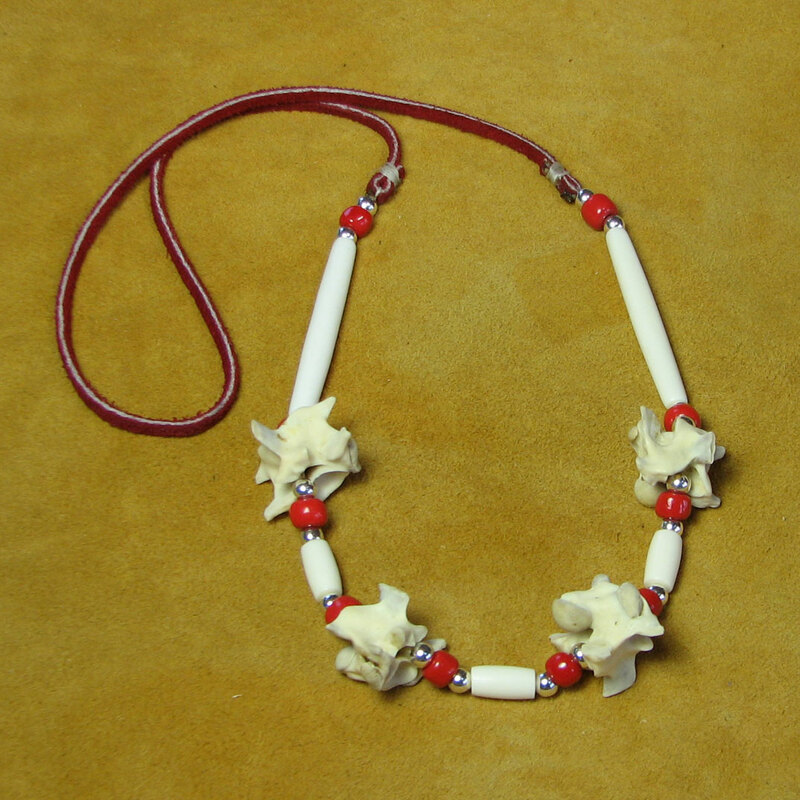 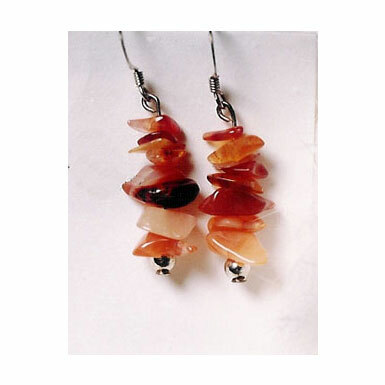 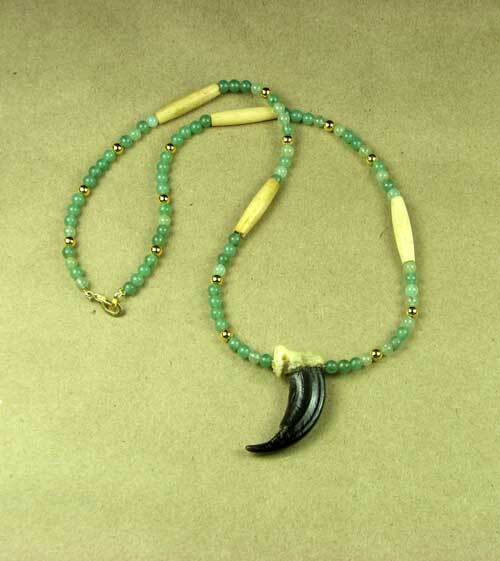 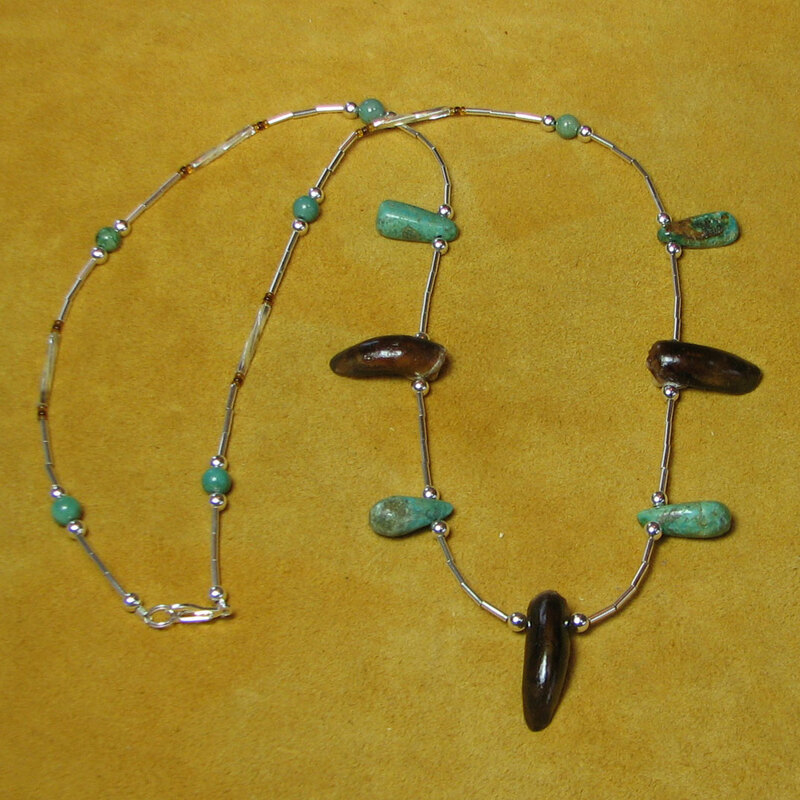 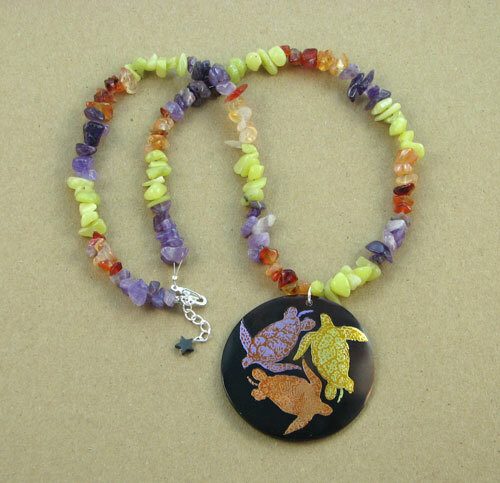 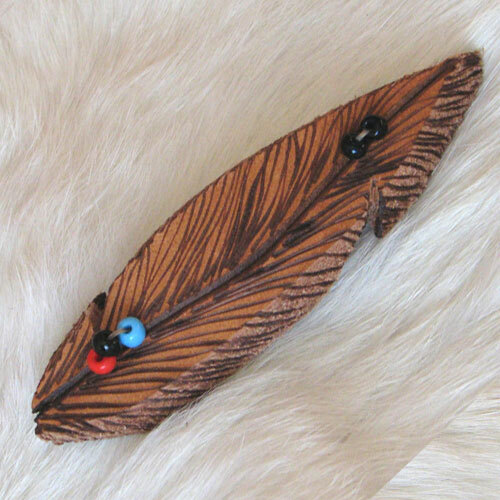 Genuine bear claw and bear tooth necklaces; horn or bone chokers; turtle claw and badger claw necklaces; snake vertebrae necklaces; bone carved animal pendant necklaces; gemstone necklaces and gemstone earrings; baby keepsake bracelets; and dream catchers are some of the Native American Indian jewelry, crafts, and gifts that I handcraft. 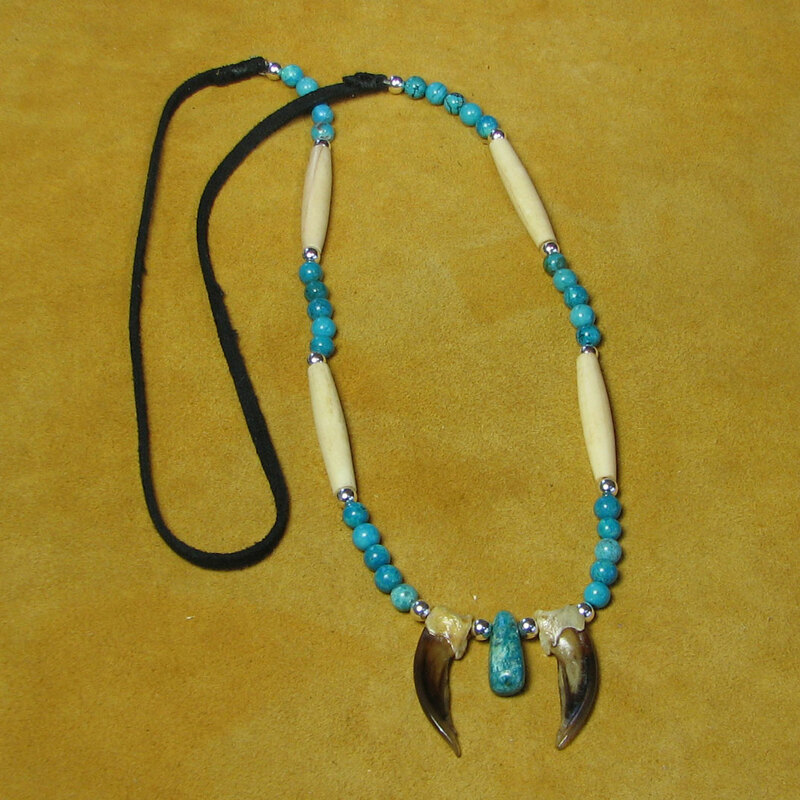 My chokers, animal claw and animal tooth necklaces are made with real leather. 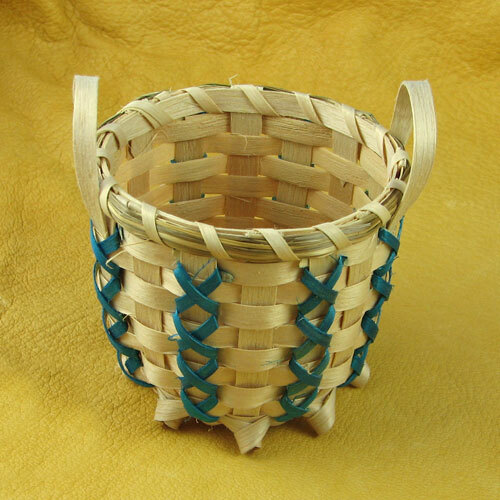 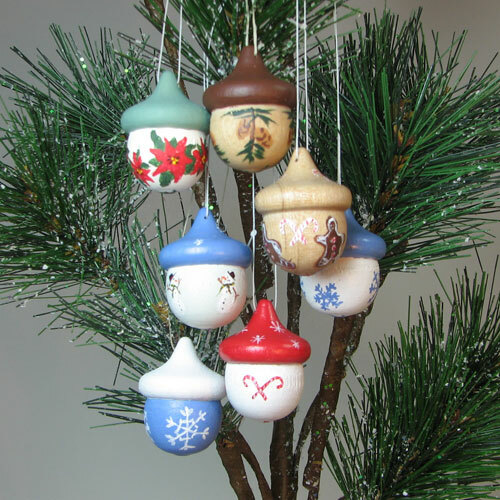 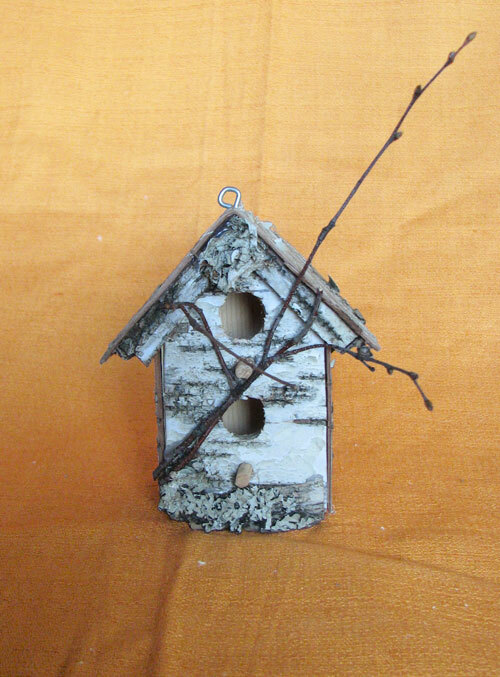 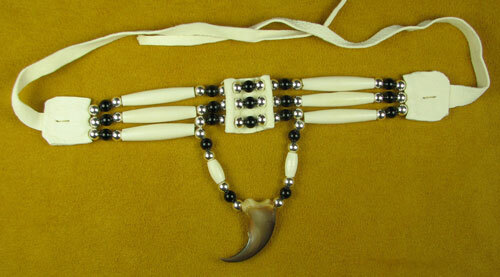 Some items are strung on artificial sinew for strength and durability. 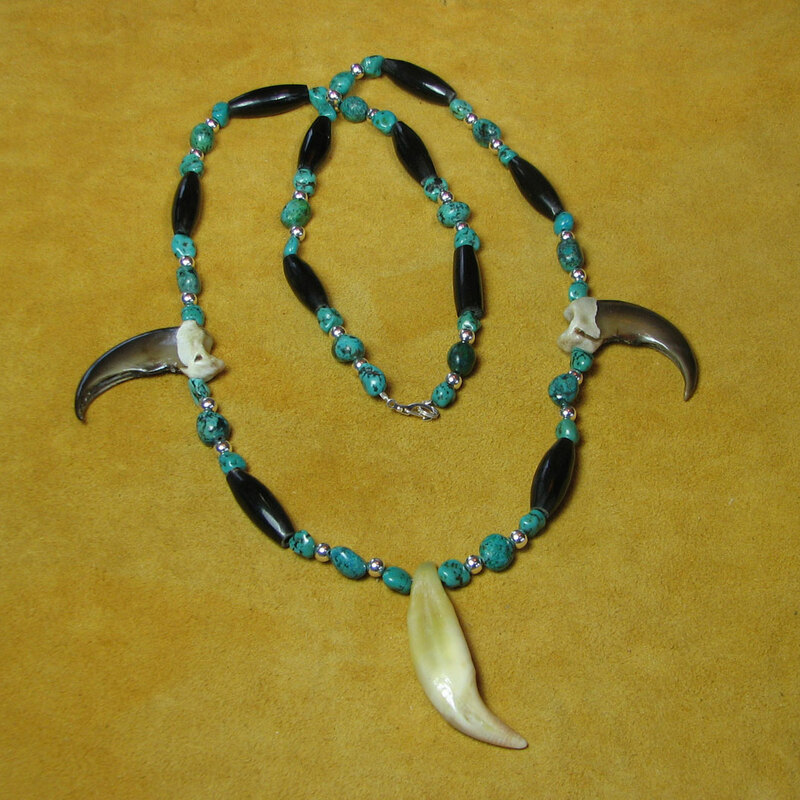 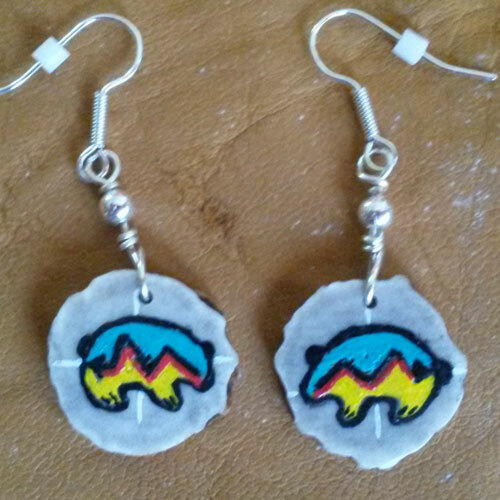 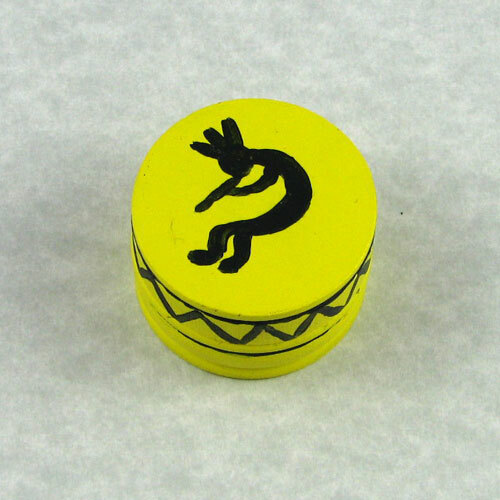 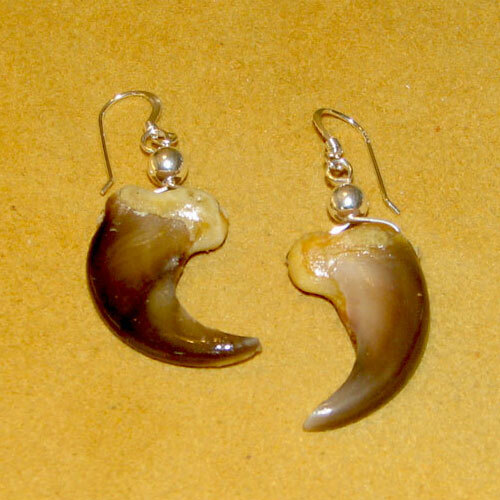 You may view and purchase my bear claw jewelry and wolf claw jewelry that I do not have listed on this website by visiting my American Indian Jewelry selection at First People. 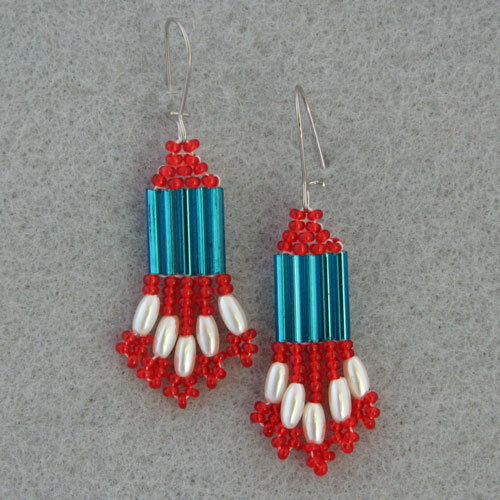 I am of French and MicMac heritage and am a member of Metis of Maine and New Brunswick.